The one who is the image of the invisible God is the one who is with us to save us. The one who sustains the world also holds us together. When our hearts tremble within us, he has made real peace possible through “the blood of his cross.” When we are poor in spirit, hungry, tearful, and hated, we are also blessed because God is near to save us and give us his peace. Luther once observed his son nursing in his mother’s arms. Troubled by his own enemies, Luther marveled at how his son was unconcerned. His child was a picture of complete trust in his mother. It was then that he realized God had promised to care for him also. When we continue in faith, holding fast to our hope in the gospel, we will not be overwhelmed by the troubles of the world. Fear not. 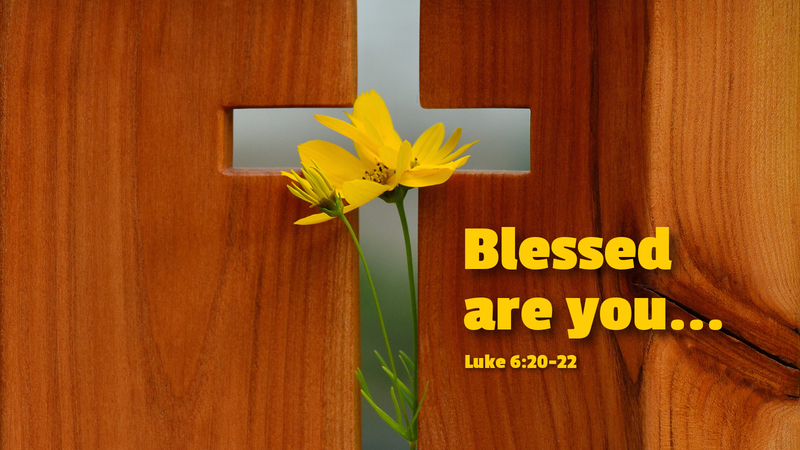 You are blessed, for God is near to save you. Prayer: We give thanks for your presence, O God, and for your peace through Christ our Lord. Amen.